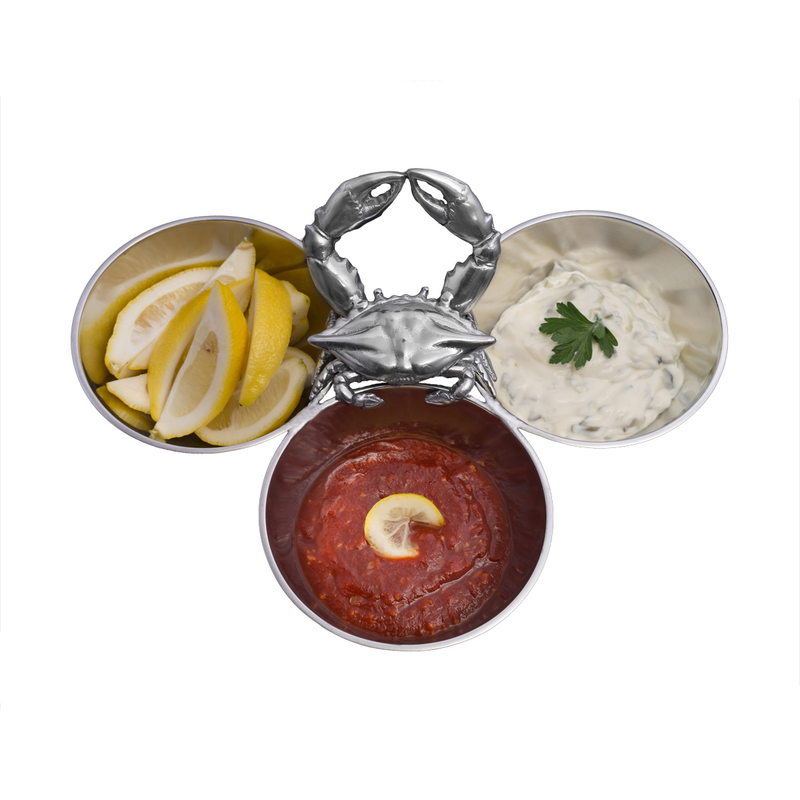 Accent your beach dining room with the Aluminum Crab 3 Bowl Server. This three bowl server features a detailed crab holding three bowls together for a beautiful addition to your home. This unique piece is designed by Arthur Court.